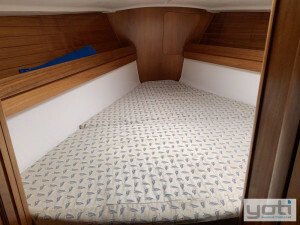 Dream Catcher is a Dufour 38 Classic that is listed exclusively for sale with YOTI. 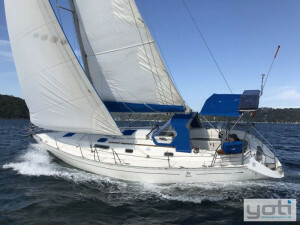 Launched in 1998, Dream Catcher is a beautiful example from Dufour which is a name famous among European cruising sailors. 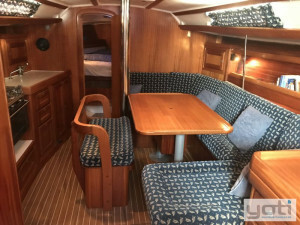 Dufour yachts have a reputation for being seagoing passagemakers. 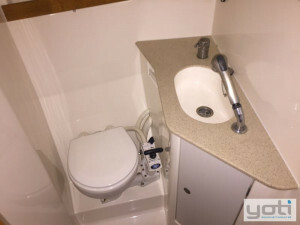 The builder has a philosophy that stresses a combination of performance and comfort under all manner of weather conditions. 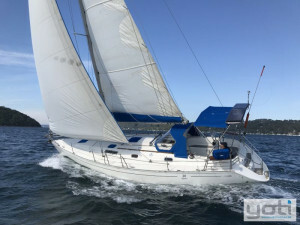 The 38's under body, with its lead fin keel and fine entries, combines speed and stability with fingertip control, even when reefed in heavy weather. 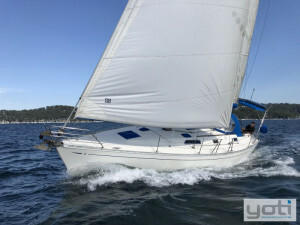 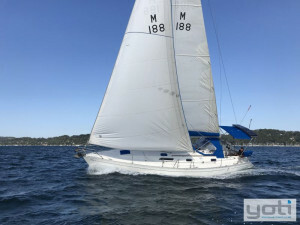 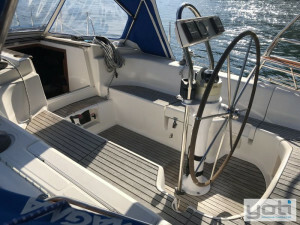 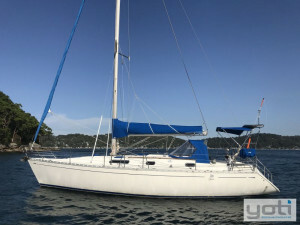 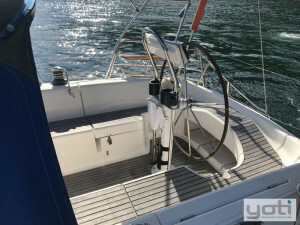 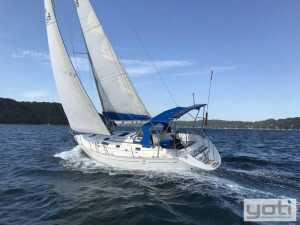 Dream Catcher has a streamlined deckhouse and has all halyards and sail controls leading aft to the cockpit where there are self-tailing Lewmar winches either side of the companionway. 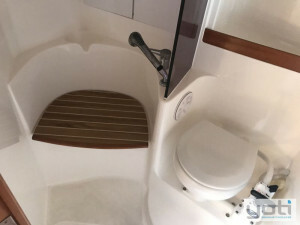 The cockpit is comfortable, fitted with Princess Seats, and the swept back transom allows easy access as a swimming platform and boarding area. 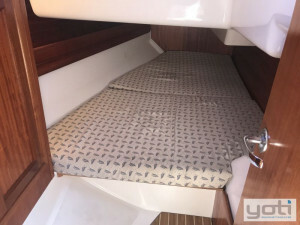 All cockpit covers, Targa cover, boom bag, hatch and rail covers were new in 2017. 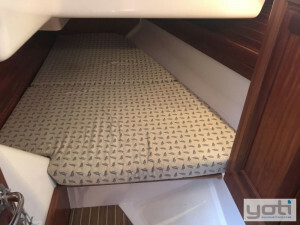 Dream Catcher is a three cabin, two head layout. 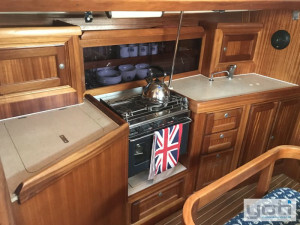 The companionway leads into a large, well-ventilated saloon with a dinette to starboard and a slightly curved galley counter to port, with stove, refrigerator and lockers and a well-equipped navigation station with hinged chart table and a bench seat that lies aft of the dinette. 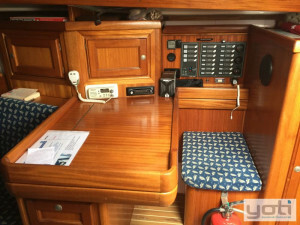 The interior is of high quality, finished with a white deckhead and veneered mahogany, a Dufour trademark. 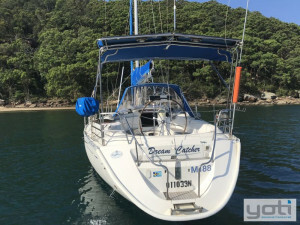 Dream Catcher is also fitted with an Autohelm 5000 auto pilot, an Autohelm ST30 Tri Data pack, multi display and log as well as an extensive list of safety equipment and spare parts. 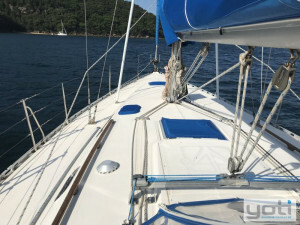 The standing rigging was replaced in 2010 and a maintenance inspection and general repairs carried out in 2018. 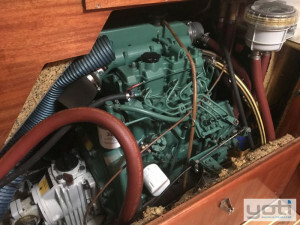 House batteries were replaced in 2015 and the start battery was new in 2018. 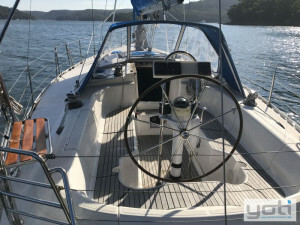 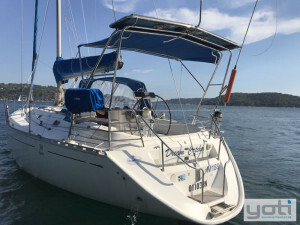 Contact Peter Mactier for further details and to arrange inspection on Pittwater.